Sensational performances but can they be repeated at sharp end? Dangerous player, I’m not too sure what that phrase exactly means but there is no Oxford English Dictionary definition; however, if it equates to a sportsman who is exciting to watch and might just beat one of the biggest names then three are on duty at the forthcoming Liebherr 2017 Men’s World Cup. Play commences in Liège, Belgium on Friday 20th October. Step forward Chinese Taipei’s Chen Chien-An alongside the Korean duo comprising Jeong Sangeun and Lee Sangsu; in recent months all the three have overcame celebrated Chinese names, all three have caused major upsets. At the recent ITTF-Asia Cup in the Ahmedabad, India; Chen Chien-An accounted for Fan Zhendong, the player occupying the second spot on the current Men’s World Rankings and in the view of the majority the favourite for the title. A quite outstanding performance, earlier in the year at the Seamaster 2017 Asian Championships in Wuxi, Jeong Sangeun had beaten Ma Long, the reigning Olympic and World champion; sandwiched in between at the Liebherr 2017 World Championships, Lee Sangsu had accounted for Zhang Jike, the predecessor of Ma Long as the owner of the two most prestigious titles the sport has to offer. Outstanding performances and all three progressed to the latter stages of the respective tournaments. However, all three wins had one factor in common; all were in the relatively early stages of proceedings. 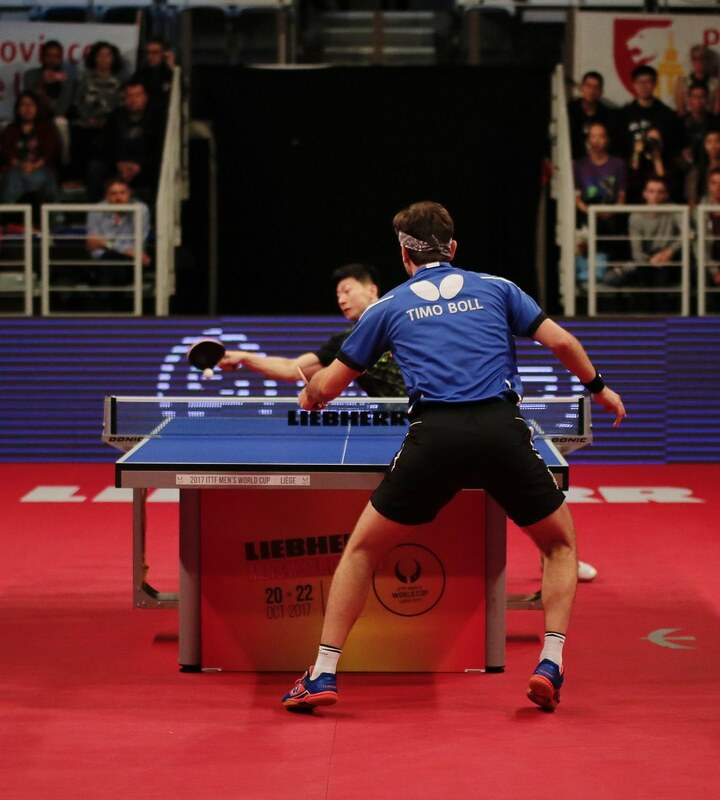 In Ahmedabad, it was the first match in the tournament for both Chen Chien-An and Fan Zhendong; for Jeong Sangeun and Lee Sangsu, it was a third round encounter in each instance. The question posed is can they reproduce such results when a medal is at stake? Jeong Sangeun makes his Men’s World Cup debut, for Lee Sangsu his second appearance, for Chen Chien-An, his third, neither has every progressed beyond the quarter-final round. Now in Liège, if a podium finish is to be gained, the chances are surely that they must replicate those performances; moreover those performances will have undoubtedly have to be replicated at the vital times; at the sharp end of the tournament.